Gerrit Rietveld's designs can still be seen in Utrecht, but you do need to know where to look. Groups can go on a bicycle tour led by a VVV city guide filled with treasures by this great master of modern art. His architectural masterpieces can be found throughout the city. The undisputed highlight of this bicycle tour is a visit to Rietveld's crowning achievement and UNESCO World Heritage site: Het Rietveld Schröderhuis. 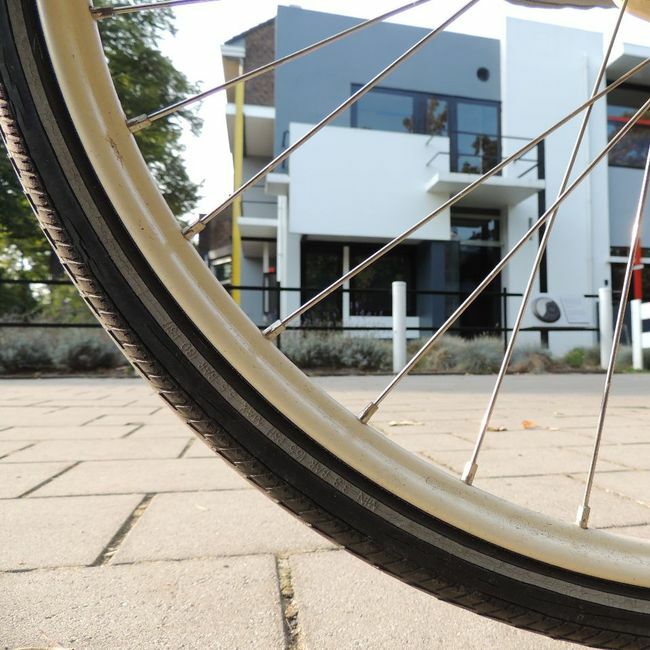 Although a visit to the Rietveld Schröderhuis is not included with the bicycle tour, it can be booked at the Centraal Museum or at the Rietveld Schröderhuis. You can book the bicycle tour by calling +31 30 236 00 20. The price of the tour is €97,50 excluding the bike rentals and reservation fee. One guide can take a maximum of 15 people. If you wish to cycle the tour by yourself, you can download the bicycle tour here. Welcome to De Stijl Utrecht Amersfoort, your online guide to all things De Stijl in the province of Utrecht. Here you'll find information about De Stijl at heritage sites in Utrecht and Amersfoort as well as related museums and activities. For additional information, send an email to info@utrechtmarketing.nl or phone +31 (0) 30 236 00 31.